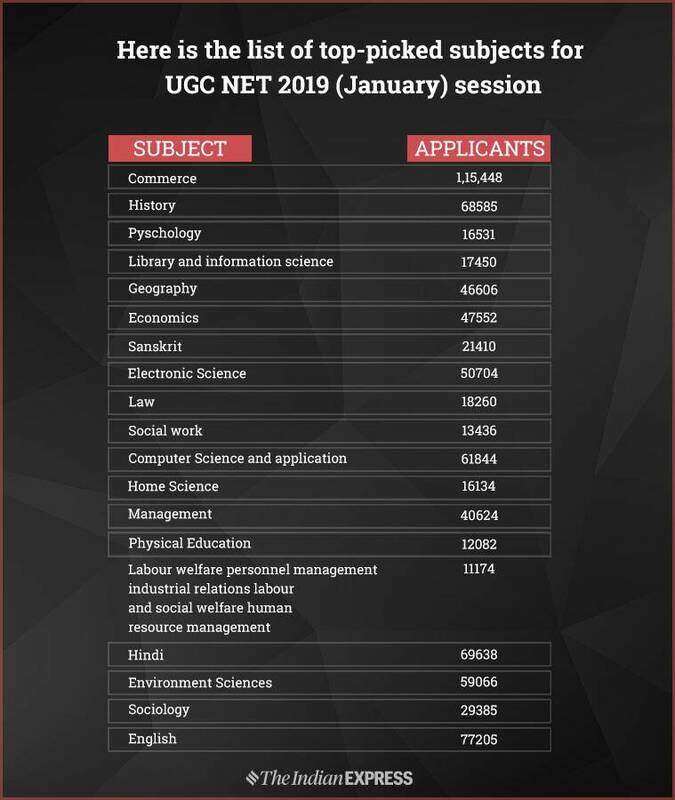 NTA UGC NET 2019: The National Testing Agency (NTA) has started the application process for the National Eligibility Test (NET) 2019 June session. Interested candidates can apply at ntanet.nic.in. This year the Agency has changed the syllabus for all the subjects from 2019 onwards. The exam will be conducted twice a year. NTA had conducted the exam in December and the next exam will be in June, 2019. While a total of 9,56,837 candidates appeared for the exam, female candidates outnumbered the males. A total of 5,33,225 female candidates registered against 4,24,595 males. While there over 9.56 lakh candidates, there are clearly few favourites when it comes to subjects. According to official data, the maximum number of candidates were from Kolkata. A total of 10 shifts were held for 25,076 candidates while the minimum number of candidates appeared from Tripura were 23.The least number of candidates registered were in Prakrit with 44, and Kashmiri in 53. Chinese, which was considered to be a popular language too was limited to 73 candidates.